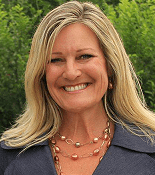 Kari Warberg Block, CEO of EARTH-KIND, Inc. in Bismarck, has been selected as the U.S. Small Business Administration’s (SBA) 2013 North Dakota Small Business Person of the Year. This annual award recognizes exceptional small business owners who demonstrate the entrepreneurial spirit in starting and growing a successful business. Nominated by The Center for Technology & Business, Kari was selected following a statewide competition. Fifty percent of the world’s population struggles with rodent issues and each year. Rodents cause millions of dollars of damage to property and food supplies around the world. As a farm wife, Kari Warberg Block saw first-hand the damage that rodents could do to farm equipment when it was stored over the winter months. At the time, there were no consistently effective solutions on the market and no non-toxic products existed that were safe to use around her young children and pets. So, Kari set out of find a natural and effective method to control mice on the family farm. At a young age, Kari’s father had taken her to see the largest landfill in the world, to show her what “away” meant when something was thrown “away”. This lesson taught her the importance of earth-friendly products and so when she started creating her rodent-repellant, she looked for biodegradable ingredients. For Kari in rural North Dakota, this turned out to be corn cobs and essential oils. 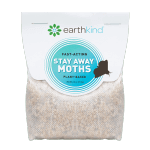 EarthKind®’s product and packaging is biodegradable and their carbon footprint is two percent. In 1995, Kari’s first “manufacturing” was done by a few neighbors sitting around her kitchen table. As demand for the product grew, the need for faster and more efficient assembly of the product developed. She then contracted with an agency in a nearby city to employ persons with developmental disabilities to assemble and package the products. To grow the business further, FRESH CAB® needed to differentiate itself from the alternative solutions on the retail shelves. Kari took on the highly time-consuming, expensive and challenging undertaking of getting the product registered with the EPA as safe and effective. Her tenacity paid off and in 2007, FRESH CAB® gained Federal EPA registration as the first and only botanical rodent repellent certified for indoor use. Today, EarthKind occupies a 7,000 square foot facility with plans for expansion and has enjoyed a 25% sustained job growth per year over the past 3 years. 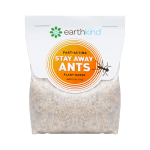 With $5 million a year in revenue, EarthKind manufactures FRESH CAB® Rodent Repellent, all-natural air fresheners and private label products for the Professional Pest Management industry. Kari continues to develop new innovative and earth-friendly products. Kari has been an active advocate and mentor for other entrepreneurs and was recognized for this in 2010 when she was named SBA’s Region VIII and North Dakota Women in Business Champion. 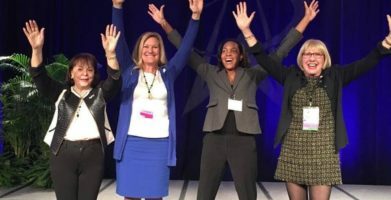 She continues to serve on the boards of organizations that are recognized for innovation and entrepreneurship, actively support legislative action designed to help small businesses, and regularly keynotes to inspire other entrepreneurs to follow their dreams and create a better way for themselves and their community. Kari has found great pride and happiness in supporting other entrepreneurs to help them reach their business goals – just as SBA’s Women’s Business Center, The Center for Technology & Business, did for her almost 18 years ago. Kari will be among the nation’s top entrepreneurs honored at SBA’s National Small Business Week events June 17-21, 2013 in Washington, D.C. In recognition of the small business community’s contribution to the American economy and society, the President of the United States designates one week each year as National Small Business Week. This year it is June 17–21, 2013. Leading up to that week, the U.S. Small Business Administration presents awards honoring the nation’s entrepreneurs and small business champions. Kari Warberg Block, CEO of EARTH-KIND, Inc. in Bismarck, has been selected as the U.S. Small Business Administration’s (SBA) 2013 North Dakota Small Business Person of the Year. This annual award recognizes exceptional small business owners who demonstrate the entrepreneurial spirit in starting and growing a successful business. Nominated by The Center for Technology & Business, Kari was selected following a statewide competition. Fifty percent of the world’s population struggles with rodent issues and each year. Rodents cause millions of dollars of damage to property and food supplies around the world. As a farm wife, Kari Warberg Block saw first-hand the damage that rodents could do to farm equipment when it was stored over the winter months. 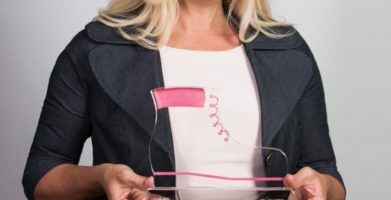 At the time, there were no consistently effective solutions on the market and no non-toxic products existed that were safe to use around her young children and pets. So, Kari set out of find a natural and effective method to control mice on the family farm. To grow the business further, FRESH CAB® needed to differentiate itself from the alternative solutions on the retail shelves. Kari took on the highly time-consuming, expensive and challenging undertaking of getting the product registered with the EPA as safe and effective. Her tenacity paid off and in 2007, FRESH CAB® gained Federal EPA registration as the first and only botanical rodent repellent certified for indoor use. Today, EarthKind occupies a 7,000 square foot facility with plans for expansion and has enjoyed a 25% sustained job growth per year over the past 3 years. 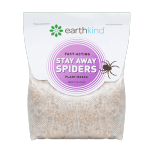 With $5 million a year in revenue, EarthKind manufactures FRESH CAB® Rodent Repellent, all-natural air fresheners and private label products for the Professional Pest Management industry. Kari continues to develop new innovative and earth-friendly products. In recognition of the small business community’s contribution to the American economy and society, the President of the United States designates one week each year as National Small Business Week. This year it is June 17–21, 2013. Leading up to that week, the U.S. Small Business Administration presents awards honoring the nation’s entrepreneurs and small business champions. string(80) "Kari Warberg Block of Bismarck is North Dakota Small Business Person of the Year"
string(240) "Kari Warberg Block, CEO of EARTH-KIND, Inc. in Bismarck, has been selected as the U.S. Small Business Administration’s 2013 North Dakota Small Business Person of the Year. This annual award recognizes exceptional small business owners..."